“Come casual, feel comfortable, worship with us” has been our motto since our church began back in May of 2004. Now, we would like to extend it to you as an invitation to worship with us next Sunday. Part of the Southern Baptist Convention, we are a traditional church with contemporary worship. Our praise and worship band sounds incredible with contemporary music and also makes the traditional, cherished hymns sound like they should be played on the radio. The people of our church are the friendliest around, with a casual atmosphere and a welcoming attitude. 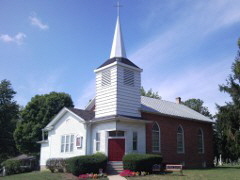 If you have been looking for a new church, or are thinking of attending church, we hope you will give us a try. Come as you are, meet genuine, caring people, enjoy wonderful music, and hear a relevant message from the Bible. 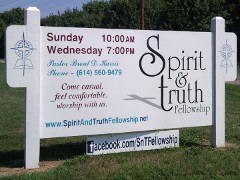 Browse our Web site for more information about Spirit & Truth Fellowship: including additional information about our meetings, location, and some of our people. 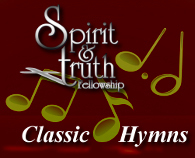 Spirit & Truth Fellowship also administers and cares for the Glick * Brick Church * Hoy Cemetery, which is located behind our church. 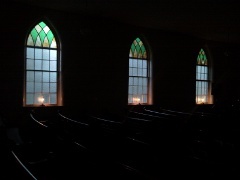 There is a large portion of our website dedicated to the historical preservation of the cemetery, as well as the history of our church building. A Satisfied customer of 1&1 for over 11 years.